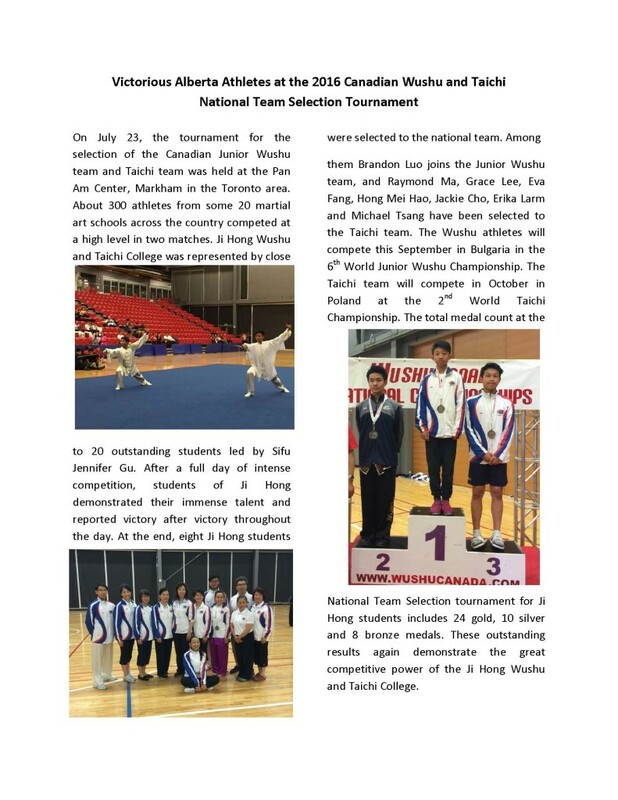 On July 23, the tournament for the selection of the Canadian Junior Wushu team and Taichi team was held at the Pan Am Center, Markham in the Toronto area. About 300 athletes from some 20 martial art schools across the country competed at a high level in two matches. Ji Hong Wushu and Taichi College was represented by close to 20 outstanding students led by Sifu Jennifer Gu.